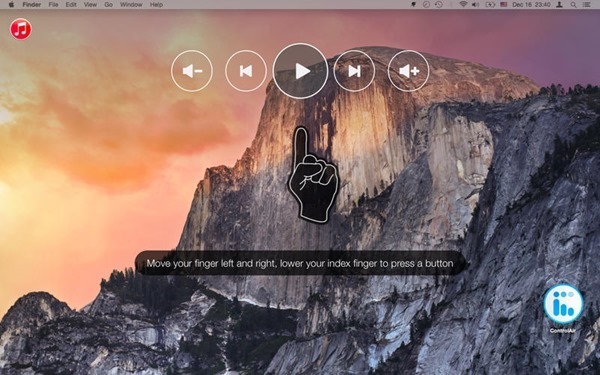 This handy little Mac app lets you control your media content using Kinect like gestures. More details and download link can be found right here after the break. Gesture recognition based controls have been made popular by Microsoft’s Kinect for Xbox and the iteration for the Windows platform, but the latter hasn’t really become the success that such technologies deserve. In similar fashion to Kinect, the Mac app in question – ControlAir – takes a more convenient approach to the concept, by simply utilizing the built-in iSight camera in modern Macs today. The app can infer an array of gestures to prompt relative actions in a variety of apps, with the feature being immensely useful for times when you’re at a distance from your Mac, or when a MacBook is plugged into a TV for watching a movie. But how does it all work? 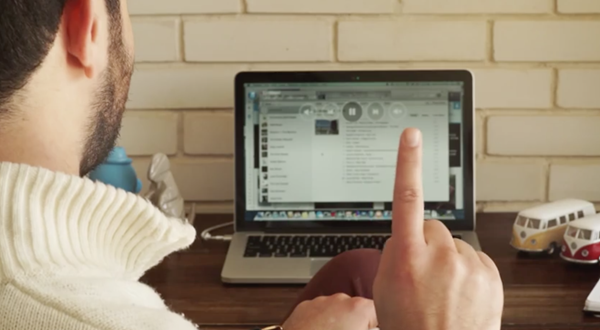 ControlAir will be on the lookout for your finger to track using the Mac’s built-in iSight camera. So for example, when you raise your finger to your lips, you will literally be shushing the Mac by triggering the mute command. Other controls include varying the volume, the usual play/pause function, skipping, and rewinding or fast forwarding, giving you complete control of your Mac from afar. Raising your finger will prompt an onscreen set of controls to appear, and moving the finger right of left will allow you to move between the listed controls. Lowering the finger will trigger that control; pretty intuitive really. 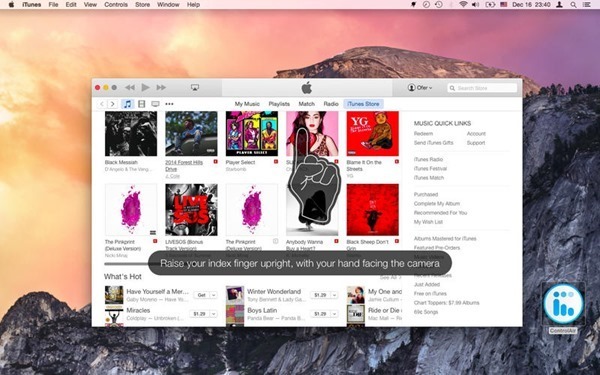 The developer, eyeSight, has advised users to maintain a distance of 1 to 5 feet from the Mac for trouble-free gesture recognition. Popular media apps like QuickTime Player, Rdio, Spotify, VLC, and VOX are currently supported by ControlAir, with iTunes also being on the cards. The developers could be following with updates to include support for more apps in the future. If you want to go beyond these Kinect like controls and are planning to take your game to the next level, then you can always invest in a Leap Motion. But hey, for the price of free, this app is your best bet for now. ControlAir requires OS X 10.9 and above to run and will work on a MacBook Air, MacBook Pro, and iMac. It is important to note that eyeSight has also provided similar touch-free interfaces to other companies out there as well, including Philips, Toshiba and more. Why I need this? I have all these things on keyboard and i think, It’s esiest to tap button on keyboard than making guests.. And faster too.